How to Train Your Dog to Walk Without a Leash by Being a Pack Leader? How to Train your Dog to Walk Without a Leash? How to train your dog to walk without a leash – is that your dream? Well, we all want to achieve that because it is every dog owners dream come true. Of course proper training, lot of patience and practice is needed. In this article I am going to share with you some simple tips and tricks. So let’s dive in. Walking your dog is not only great physical exercise for the both of you, but an essential part of training and improving your relationship. To be your dog-family’s leader is the dream. To have such control that you’re able to walk your dog without a leash is the holy grail. Years ago, this would have seemed impossible for my West Highland White Terrier. The thought was terrifying, as images of him leaping at passing cars and other people flooded my mind. But it is possible for you and your dog to achieve a relaxed state of mind while exploring together. Here are some basic guidelines to help you attain such an enjoyable walking experience. In order to establish yourself as the leader, you need to give maintain an assertive, confident energy. Along with this, use physical cues for your dog to catch on. We all love seeing our dog lose its mind with joy at seeing the leash, but from the start of the walk you should be in control. Make your dog stay and wait patiently while you prepare and put on its leash. Be sure to be the first one to exit the house and the first one to enter back in. During the walk make sure your dog is always beside or behind you. Always being in the lead during the walk is easier said than done. The idea is not for this to turn into a race. You’ll be able to discern a lot from your dog’s body language as well. Pay attention to your dog’s ears, they should be pointing forward or may flick towards you. The moment something else catches your dog’s attention give a gentle jerk on his leash to bring his attention back to you. When your dog is settling into this state of mind, reward him by allowing him to relieve himself or sniff around. This should always be on your terms, within reason. 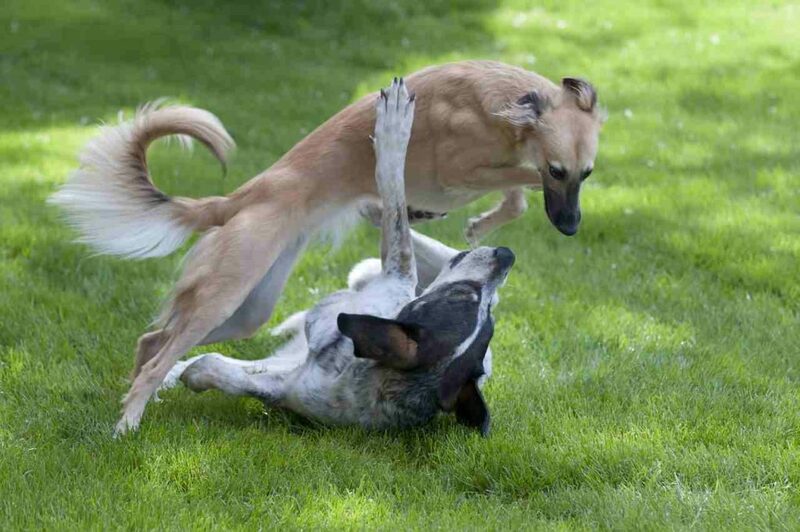 When your dog graduates from this, begin practicing in the safety of a backyard or dog park. Starting with a short leash may let you communicate more easily with your dog and give you more control. When training off-leash you’ll have less communication with your dog. It will be helpful to train your dog using a clicker or verbal cues as rewards. You should finish the walk the way you started it. Be the first one back in the house and make him wait calmly while you remove the leash. Now may be a good time to reward your dog by giving him his food or a treat, he worked for it! When you and your furry pal have mastered this walk you’re much closer to being able to walk him off-leash. On days that I accomplished this with my Westie, I noticed he was more inclined to be obedient and submissive for the rest of the day. It will take patience and consistency to be able to take your dog completely off-leash for your walks. To successfully build off-leash reliability, you will need to include training in daily play so your dog will respond to you everywhere. Conclusion: how to train your dog to walk without a leash? A word of warning, it’s impossible to guarantee the safety of you dog off-leash. Always put the safety of your dog and others first and consider the local laws. In certain breeds, the instinct to chase can be overpowering and they may never be able to safely walk off-leash. Even so, by mastering the walk and becoming the leader you’ll have a happier, healthier dog. Back to Dog Training Page.